I have always been a fan of indigenous arts and crafts since I was in high school. It was probably one of the reasons why I entered UP Baguio in college. Even though I stayed there for just three semesters, I was able to satisfy myself with a lot of crafts made by the people of Cordillera. It has been two years since I last visited Baguio. Actually, I planned to visit my blocmates there last summer, but my work prevented me from doing so. Because of that, I just decided to purchase a new bag online. 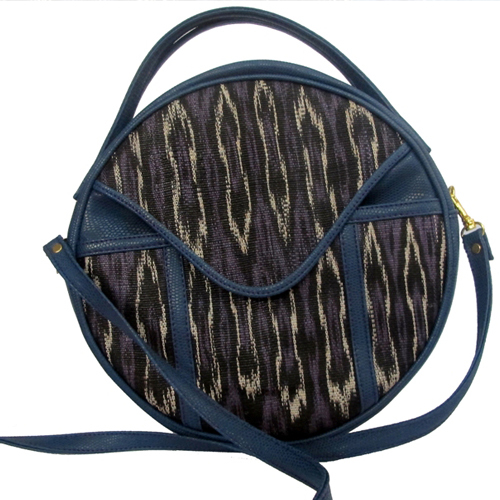 At first, all I wanted was a bag made from the Cordillera Region, however, while browsing the Internet for some “handwoven bags” I came across this website, http://vesti.ph/. Vesti. “What a unique and catchy name,”I told myself. Excited, I immediately checked out its collection. I died for about five seconds. Oh my God! I fell in love with all of them!!! I didn’t have second thoughts. I bought one for myself. I got my Vernice sling two days after I ordered it. The bag actually looked better compared to the photos I have seen online. I put it on immediately and wow, bagay! Haha. Aside from the bag, I also got a postcard, and a note describing what I purchased. Vesti’s products are proudly Mindanao-made. As its website states, Vesti is “clothing modernity with ethnicity.” By incorporating Mindanaonon-materials in its products, Vesti helps small-scale industries and livelihood programs in their region. Vesti’s owner, Martha Rodriguez, also serves as its designer. She earned her degree in Clothing Technology from the University of the Philippines-Diliman. She was born and raised in Cagayan de Oro City. 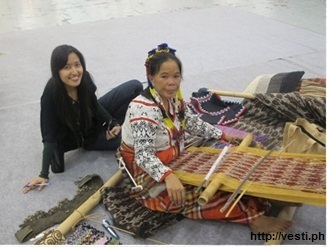 As a Mindanaonon herself, she has been fascinated by indigenous fabrics that made her travel around Mindanao. “I had one goal in mind for VESTI: to provide customers with an equilibrium of ‘ethnic and modern’ bags through the promotion of Mindanao weaves as key design that enhanced personal style, to support Mindanao small-scale industries and livelihood programs and to build the Mindanao pride through the fabrics. To achieve that, I had to buy the fabrics straight from weavers in Mindanao, give them the design I wanted demanding high-quality fabrics and pray that they can deliver on time,” said Martha. For orders and inquiries you can contact Martha at 0906-4350124. You can also e-mail her at martha6rodz@yahoo.com. Support Vesti and help them promote our world-class Filipino products! The writer is an alumna of the University of the Philippines-Diliman. She obtained her degree in Communication Research in 2010. At present, she is working as a research associate in a television network. She likes to write more than to read, but that doesn't mean she's a good writer (haha).